The staff at Cozine Memorial Group have years of professional funeral planning experience and a strong commitment to providing exceptional service with attention to detail. Our knowledgeable staff offers personal guidance with the understanding that people need sensitive and caring professionals to help them during difficult times. Once you get to know our people, you will see why more families have come to appreciate the outstanding service and personal attention we provide. We make your needs our priority! Bill is a life-long resident of Wichita. His roots run deep both in his professional career, as well as in his service to the community. Bill graduated from East High School in 1958 and from Wichita State University with a BA in political science. He attended Washburn Law School and graduated with honors from the Dallas Institute of Mortuary Science.  He has been involved in the ownership and direction of Broadway Mortuary since 1964 and has worked with his son, Ashley, in the planning and development of Kensington Gardens since 1995. He has been recognized as a Certified Funeral Service Practitioner (CFSP) by the Academy of Professional Funeral Service Practice (one of approximately ten recognized in the State of Kansas). In 2013, he was among the first group of individuals in the country to be recognized as a Certified Crematory Operator (CCO) by the National Funeral Directors Association. Bill’s experience as a funeral director has included all phases of service to families, as well as to state and national funeral director’s associations. In August of 2012, he was appointed by Governor Sam Brownback as a board member of the Kansas State Board of Mortuary Arts. This five-member board of appointees ensures that licensees perform and operate in a manner consistent with the proper care and protection of consumers within the State of Kansas. Over the years, he has brought a number of national caliber speakers to Wichita to share with ministers, caregivers, and medical and hospice personnel how to effectively serve those in grief. Additionally, Bill has spoken to many groups including churches, businesses, high schools and colleges concerning death and dying. His goal — to teach others to feel more comfortable and knowledgeable as they interact and serve others. He was instrumental in taking Wichita Festivals from a weekend event to a 10-day celebration, serving as its first chairman. 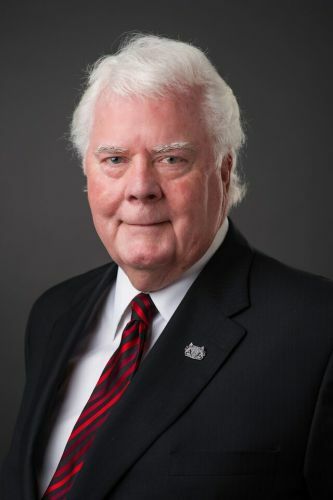 He served as president of Wichita Festivals, Inc., during the bicentennial year of celebration when Wichita Festivals hosted four major events: The Freedom Train, River Festival, the first city-wide 4th of July Celebration at WSU’s Cessna Stadium and a Fall Ethnic Festival at Cowtown. He was co-founder of the Wichita Wagonmasters and served as Admiral Windwagon Smith VIII. Bill is a past member of the Board of Directors of the Wichita Independent Business Association. He is past president of Wichita Sister Cities and was active in securing both Cancun, Mexico and Kaifeng, China as Sister Cities for Wichita. 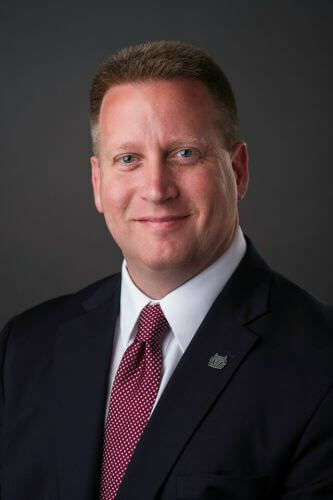 He currently serves on the Advisory Board for the Salvation Army and is a member of Wichita Downtown Rotary and the Wichita Metro Chamber of Commerce. Bill has been active within the Christian community, serving as co-chair for the Leighton Ford Crusade and as a director for the Franklin Graham Crusade. He has served as a church elder, deacon and teacher. He and his wife, Suzy, attend Central Christian Church. They are the parents of two children, Ashley and Heather. They have eight grandchildren. Ashley was born and raised in Wichita, Kansas. He graduated from Kapaun Mt. Carmel High School in 1985. He received a BA degree from the University of Kansas, a diploma in social studies and political theory from Oxford University in Oxford, England, and an MBA from Friends University. He is a third generation funeral director and has worked in his family’s funeral home since he was in high school. He became a licensed funeral director in 1995. Ashley has been recognized as a Certified Funeral Service Practitioner (CFSP) by the Academy of Professional Funeral Service Practice (one of approximately thirteen recognized in the State of Kansas). In 2004, he was recognized as a Certified Preplanning Consultant (CPC) by the National Funeral Directors Association (NFDA). In 2013, he was among the first group of individuals in the country to be recognized as an NFDA Certified Crematory Operator (CCO). He received training and has been a volunteer group facilitator for Three Trees, a center for grieving children and their families. Under Ashley’s leadership, Broadway Mortuary and its staff have been recognized multiple times by NFDA as a recipient of the prestigious Pursuit of Excellence Award. This award is presented to firms that exemplify a commitment to excellence and outstanding service to others. Broadway Mortuary is the only Wichita funeral home to have been inducted into the NFDA Hall of Excellence – having received its 10th Pursuit of Excellence Award in 2014. Ashley is a past president of the Kansas Funeral Directors Association. In 2009, he was named the Kansas Funeral Director of the Year. On a national level, Ashley served as the Kansas representative to the Policy Board of the National Funeral Directors Association, the largest association of funeral directors in the world. In 2011, he was elected by his peers to serve on the NFDA Board of Directors. 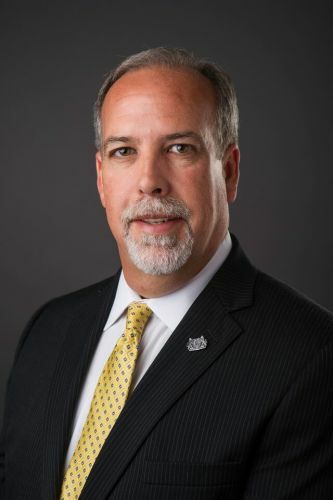 In 2016, he became the 123rd President of the National Funeral Directors Association, where his leadership helped shape the future of funeral service. Ashley’s forward-thinking approach and attention to detail, has resulted in continuous improvements and new standards of service. His goal is to provide outstanding value in an environment where the customer is honored and provided with services which exceed their expectations. He has served in a number of community service organizations, including the Quivira Council Executive Board of Boy Scouts of America and Wichita Downtown Rotary. He is a past board member of the Salvation Army Advisory Board, CYT Wichita, Exploration Place, Wichita Eye Foundation/Mid-Continent Eye Bank, the Wichita Prayer Breakfast and the Operations and Activities Council at the Classical School of Wichita. In 2001, Ashley received the Wichita Business Journal’s “40 Under 40” Award and was also selected to participate in Leadership Wichita that same year. 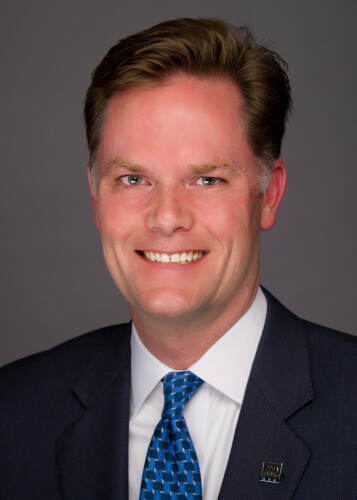 He was a member of the Leadership Kansas Class of 2002 and served as its local program chair in 2003. In 2017, he was named to the Ingram's Kansas City Business Magazine list of "50 Kansans You Should Know." He has served as a Sunday School teacher and high school ministry leader. He and his wife, Carolyn, have six children and are members of Eastminster Presbyterian Church. Glen is a native of Wichita, Kansas. He graduated from South High School, attended Pittsburg State University and received his degree in mortuary science from Cypress Community College in Cypress, California, where he was on the president’s honor roll. Following graduation, Glen worked six years for a national, corporately-owned mortuary in the southern California area. Upon his return to Wichita, the corporation elevated him to manager and placed him in charge of several mortuaries it owned in Wichita and surrounding communities. He served in that capacity for seven years. After growing disenchanted with the corporate world, but desiring to continue in his profession, he joined the staff of Broadway Mortuary in 1995. 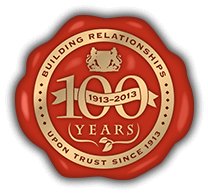 Glen is committed to the difference that a family-owned funeral home makes, believing it provides a better environment in which to serve families—without the added pressures of stockholders, upper management and headquarter directives more typical of corporately-owned funeral homes. Because of Glen’s compassionate nature and strong desire to help others, he is highly regarded by the families he serves. Having served in many different aspects of the funeral industry, along with his proven skills in embalming, reconstruction and cosmetic techniques, Glen has distinguished himself as an accomplished professional and as a quintessential servant. He is well respected by all who know him. In 2015, he was recognized as a Certified Crematory Operator (CCO) by the National Funeral Directors Association. Glen has two grown children who live in Wichita. He resides in Argonia, KS with his wife, Julie, and her son. Glen is a past president of district four of the Kansas Funeral Director’s Association. He has served as a swimming coach, a Boy Scout leader, and enjoys an active church and community life. T is a native Kansan who grew up in and around the funeral service profession. She was born in Anthony, Kansas, and later moved to Kingman, Kansas, where her father worked as a funeral director. It was during these formative years that T developed a desire to serve people with compassion and understanding. She spent the first part of her working career as a certified court reporter in Savannah, Georgia. She received her paralegal degree in family and criminal law in Montgomery, Alabama, before moving back to Wichita to be near family. She continued in the legal profession for a total of 18 years. In 1994, T chose to enter her father’s vocation and joined Resthaven Mortuary and Cemetery where she was a family service director and a licensed pre-arrangement counselor for nine years. She has spoken to organizations about death and dying, as well as provided support in the area of grief counseling in the Wichita and surrounding school districts. In January 2003, T brought her enthusiasm and experience to Kensington Gardens and Broadway Mortuary where she has been encouraged to focus on her commitment to excellence. She has found the family-owned and operated environment to be the perfect match for her and her ability to assist others in a low-key, no pressure manner. Her expertise and creativity is appreciated by the families we serve and has led to many enduring friendships. Her attitude sets her apart as a true professional dedicated to caring for others in need. She is recognized as a Certified Preplanning Consultant (CPC) and as a Certified Crematory Operator (CCO) by the National Funeral Director’s Association. T has been active on all levels of politics since 1976 and was appointed to the (Kansas) Governor’s Council for Developmental Disabilities and Wichita’s Council on Disabilities Services. She served on the Goddard School Board for eight years. She has been involved with Special Olympics where her son, Cory, has participated; has been a member of the Downtown Lions Club; and volunteers with FC Wichita men's and women's semi-professional outdoor soccer teams and youth soccer. She is actively involved in her church, St. George Orthodox Christian Cathedral. T is the mother of three sons and “Nana” to two perfect grandsons. Vic was born in Wichita and raised in Haysville, Kansas. He graduated from Campus High School in 1989. His early working career was spent at Bank IV as a mail clerk and with Emprise Bank as a vault teller. He also worked at several radio stations as an on-air personality. In 1991, while attending Wichita State University, an opportunity presented itself for part-time employment with Old Mission Mortuary. Vic enjoyed this experience—cultivating his work ethic, compassion and desire to serve others. Because of this, he was encouraged by management to pursue a career in funeral service. In 1995, he accomplished this pursuit and became a licensed funeral director. In 1999, at the invitation of a church friend, Vic was enticed to leave the funeral service profession and become involved in the management of a family owned restaurant company with multiple Burger King locations. Over the pursuing years, Vic enjoyed many aspects of this experience. In 2005, the company was sold. As national corporate demands were instituted, it became apparent to him that his true desire and passion was to return to the funeral profession. He wanted to be associated with a family owned business that had a tight bond among colleagues and a common objective of service to others. He also wanted to find a place where he could live out his faith through serving others in need. In the spring of 2008, Vic was able to fulfill these desires by joining the Cozine family and becoming a part of Broadway Mortuary and Kensington Gardens. Vic and his wife Danielle reside in Wichita with their six children. He enjoys cycling, weightlifting, reading and is active with children’s sports through the YMCA. He and his family are active members of Antioch Christian Church. Dan was born and raised in Manhattan, Kansas. He graduated from Manhattan High School in 2004. Shortly after graduating High School, he began his studies at Central Bible College in Springfield, Missouri, where he earned a Bachelor’s degree in Pastoral Ministries. In 2008, Dan accepted a position as an associate pastor at a local church in Wichita. Throughout his time on staff at the church, Dan felt as though he was being led into a different facet of ministry. In 2009, Dan began working on an “as-needed” basis at Broadway Mortuary, working evening visitations and weekend services. It did not take long for him to realize that Funeral Service was the facet of ministry he desired to be in. In the fall of 2010, Dan and his wife moved to Dallas, Texas, where he began his studies at the Dallas Institute of Funeral Service. While attending school, he strived to be the best, knowing that someday numerous families would rely on his expertise and talents. It was of no shock to anyone that Dan excelled in his studies and graduated with a 4.0 GPA and was the Salutatorian of his class. Additionally, in 2011, he was the recipient of a National Funeral Service Scholarship and was recognized as one of the top 15 students throughout the U.S. and from more than 60 schools offering a degree in mortuary science. Aside from his studies, Dan also worked for one of the largest embalming services in the United States. It was here, that he had the opportunity to further perfect his skills as an embalmer and restorative artist. Dan holds an Embalmer’s license in both Texas and Kansas, as well as a Funeral Director’s license in Kansas. 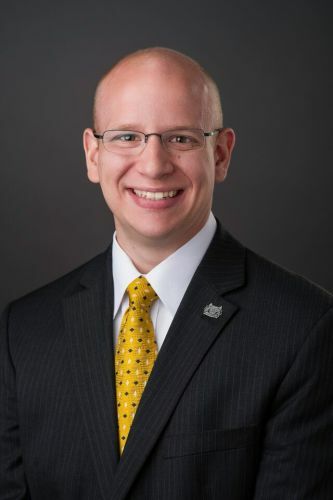 In March of 2015, Dan was selected as one of 50 young funeral professionals to attend the National Funeral Directors Association’s “Meet the Mentors” program at Emory University in Atlanta, Georgia. In 2015, he was also recognized as a Certified Crematory Operator (CCO) by the National Funeral Directors Association. In 2016, Dan was recognized as a Certified Funeral Service Practitioner (CFSP) by the Academy of Professional Funeral Service Practice (one of eleven recognized in the State of Kansas). Dan and his wife, Kateland, reside in Wichita with their daughter. They are avid K-State fans and enjoy going to all kinds of sporting events. In his spare time, Dan is a professional storm chaser and provides live weather coverage to various media outlets across Kansas, Oklahoma, Colorado and Nebraska. In 2013, he was honored as one of Wichita’s Home Town Heroes for his life-saving storm coverage he offered Wichita during the April 14, 2012 tornado. Maira was born in Houston, Texas and raised in San Luis Potosi, Mexico. She graduated from Elsik High School in Southwest Houston in 2003. A few months after graduating, she joined the United States Army and served as an Active Duty Soldier for three years during Operation Iraqi Freedom. 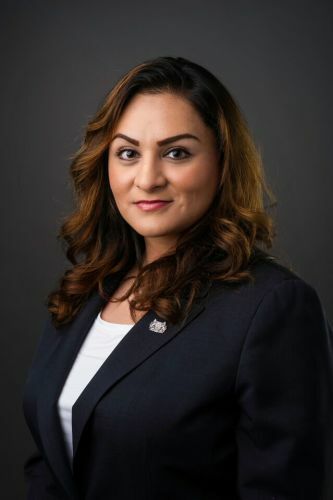 She was stationed in Fort Campbell, Kentucky and after her yearlong tour in Iraq, she moved back to Texas and began working for a corporate owned funeral home as a Family Service Counselor. There, she discovered that her true calling was the desire to serve others as a Funeral Director. In 2009, she began her Mortuary Studies at the Commonwealth Institute of Funeral Service and in 2010, graduated with honors. In 2013, she moved to Wichita, Kansas and a year later joined the staff of Broadway Mortuary and Kensington Gardens in pursuit of her continuous desire to serve and help others in need. In 2015, she was recognized as a Certified Crematory Operator (CCO) by the National Funeral Directors Association. Maira is an active member of Central Christian Church and enjoys volunteering for the community service ministry, His Helping Hands. Although most of her family reside in Texas, she has found the beauty and charm of Wichita through its historic places and through the people that she continues to meet on a daily basis. As a new resident of Kansas, she hopes to one day be able to raise a family of her own here. Pat was born and raised in Wichita. She graduated from Wichita East High School. Her early professional career included various business opportunities and experiences, while at the same time raising and caring for her three children. In 1980, Pat became the office manager for the Byrd-Snodgrass Funeral Home. She initially became involved in the funeral profession after suffering the death of her father. Her desire was to better understand the grieving process she was experiencing. She enjoyed her work and accomplished her goal of learning about grief and serving others. 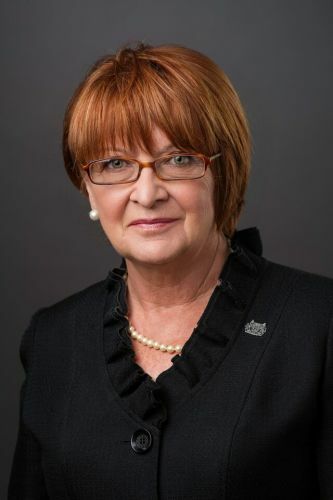 In 1982, an opportunity led her to Cherry Creek Village Health Care Center where she served as office manager and later as the interim administrator. In 1985, she married Terry Kiser, the owner of Byrd-Snodgrass Funeral Home. She returned to the funeral profession and took a very active role with Terry in building their business and serving families. Desiring to retire, they sold their business to a large funeral corporation and moved to Florida. After four and a half years of being away from their family and friends, they decided to return to Wichita. In 2001, Pat joined Lakeview Gardens Cemetery and Mortuary as a family service counselor. She moved through various positions of responsibility: eventually becoming operational manager of the cemetery. 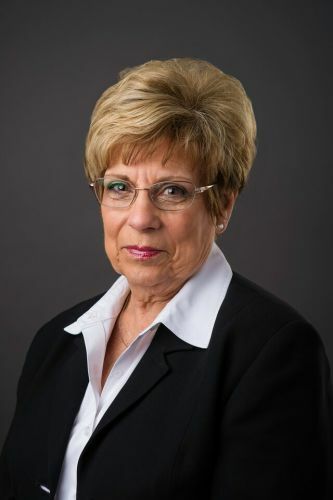 Although Pat spent nearly seven years working for the Stewart Corporation (the Louisiana-based owner of Lakeview Cemetery and Mortuary), she missed the personal interaction and service to families that she and her husband were previously able to provide in their family-owned funeral home. In 2008, she was pleased to accept the opportunity to join with the Cozine family and become a part of Broadway Mortuary and Kensington Gardens. Pat brings thirty-seven years of knowledge and experience in all aspects of funeral and cemetery service to the Cozine Memorial Group. She plays an instrumental role in the day-to-day operations and appreciates the freedom to serve families in a personal and caring atmosphere. She is a past president of Hypatia Beta (a women’s business and professional sorority), as well as past president of Rotary Ann’s of Wichita. She currently serves as secretary for her Home Owners Association. She holds a certificate in interior design and decorating with a background in architecture, as well as a degree in business plus marketing and finance. Pat and her husband live in Wichita and enjoy being with family and friends. Along with her adult children, she proudly speaks of her six grandchildren and seven great-grandchildren.